Our good friends the Malone's are due for their first baby in December. The baby shower is happening today and here is what I've made for them. 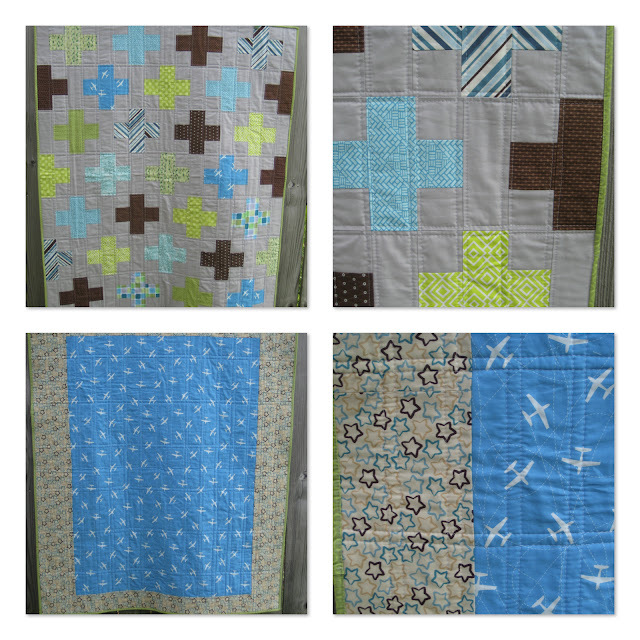 A baby quilt based on the pluses pattern that also resembles crosses; backed in a fun airplane fabric and surrounded with stars. I also made burp cloths, bibs and a tag/ribbon blanket. Derek loves the fabrics on the bibs and burp cloths, especially the owls.